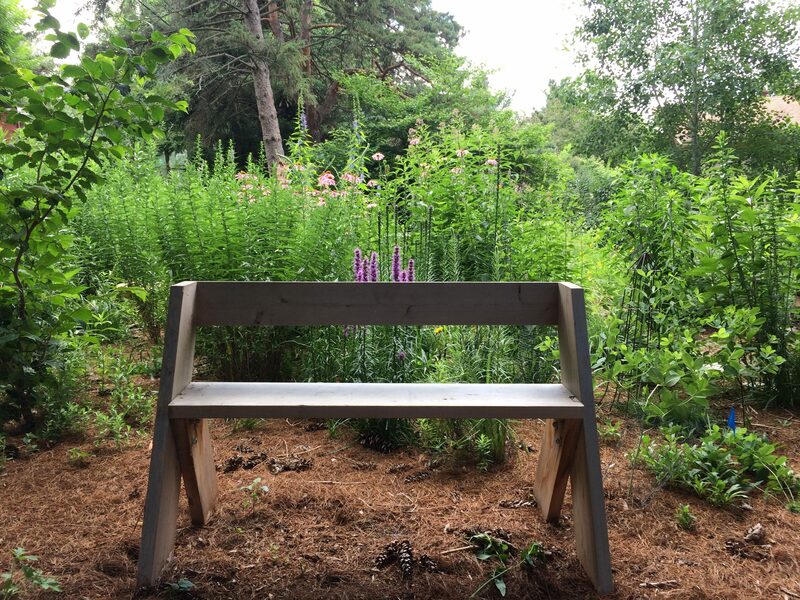 While Aldo Leopold is best known for his writing, teaching, and work regarding his forward-thinking “land ethic,” back in the early part of the last century, he also designed a nifty little bench. His design is a reflection of simplicity, functionality, oneness with nature, and surprising timelessness. The design for the Leopold bench is so straight-forward that it has been a favorite workshop project for decades. Rumor has it that even those of us who lack “real” carpentry skills can make this bench in three hours or less. Make one this winter—better yet, make two! They can easily be moved around your yard as needed and blend in remarkably well in all kinds of naturescapes. Plans abound on the Internet. Here is one suggestion.